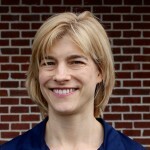 Millie Crawford, PT, MPT, is a Physical Therapist at Danville Orthopedic & Athletic Rehabilitation. Millie holds a Master of Physical Therapy (MPT) from Old Dominion University and a Bachelor of Science in Health and Exercise Science from Virginia Commonwealth University. Outside of work, Millie stays busy with church, hobbies, and her family.